Apple has been stingy with new Mac hardware – especially with desktop computers. It’s been years since the Mac Pro or Mac Mini have been updated. That’s why I’ve been pushing my Mac Mini (Early 2009) to the limit. I bought that computer almost eight years ago. I’ve been holding out for a worthy replacement, but using a single computer for so long comes with risk. A crash could lead to significant data loss. Well, on Ground Hog’s Day 2017, my Mac Mini crashed… and it crashed hard! While I’m happy with the new iPad Air 2, and it has seriously cut down my desktop usage, I still need a traditional computer to get work done. 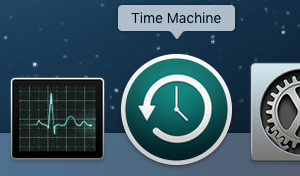 The problem was that my Mac was running slow. It’s over five years old. I thought about getting a new Mac, but the new models didn’t impressed me. They’re either too expensive for my budget or not a significant improvement over the earlier Macs. To save money, but boost performance, I decided to upgrade my Mac Mini. Apple’s new iMac with Retina Display is pretty impressive. With 14,745,600 pixels, the image is quite sharp. Unfortunately, it also starts at $2,499. That’s well out of my budget for a new computer. I also looked at the new MacBook Pros with Retina Displays. Starting at $1,299, I still felt that was too expensive. The problem is that HiDPI screenshots are required for my next book project. Shouldn’t there be a more affordable way to take high-quality screenshots? Be faithful to your lover, not your computer. While I still like my Mac, some radical changes to Apple’s hardware line has me concerned about the future of the Mac. With the removal of the optical drive from the new Mac Mini, disappointments with Mac OS X Lion, the White Macbook going bye-bye and the hardwired MacBook Air RAM, the entry-level Macs have become less attractive to me. That’s why I started wondering about Microsoft Windows.